Chatbots are an Artificial Intelligence (AI) strategy that more and more businesses are adopting. They’re a great way to ensure customer satisfaction while you actually do less work. Studies have found that customers are more likely to talk with chatbots than call in for help. If you want to reach out to your clients and provide them with answers, you need to establish them for your business! Chatbots increase customer engagement and service, which in turn leaves customers impressed and satisfied. With the increase in messenger apps for marketing (Facebook, Snapchat, etc. ), it’s important to have them set up to respond to customers. Your Marketing Liaison can help you set up and use them, to increase customer satisfaction and grow your business. You’ll be able to personalize this form of Artificial Intelligence to help, inform, and entertain your customers. 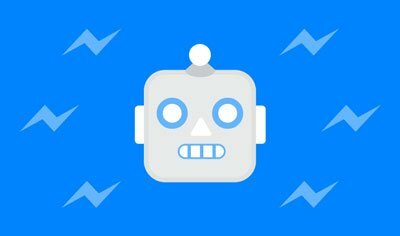 Chatbots also increase your social media presence, so people won’t feel like you aren’t updating enough because your bots work in real time. Along with helping the customer, they can also help you. Not only do they take away your burden of staying active and replying right away, they can also take information from customers so you learn more about what your customers need. Some are also able to analyze customer data so you know what demographics are interested in your business. They can also show you right away what customers don’t understand and what you need to change. More and more businesses are using chatbots, and you don’t want to be left behind. If AI is the future, this is an important step. To increase your business, your media presence, and your customer satisfaction, you need to implement chatbots. If you’re already using social media for marketing, they’re an important addition. Your Marketing Liaison knows how to help. We offer training, done with you, and done for you, programs. Let us take care of your chatbots so you can focus on your business.